Bengaluru Football Club and Boca Juniors India shared the honours of the first ever Mfar Boca Juniors League by winning the Under 16/14 and Under 12/10 categories respectively. 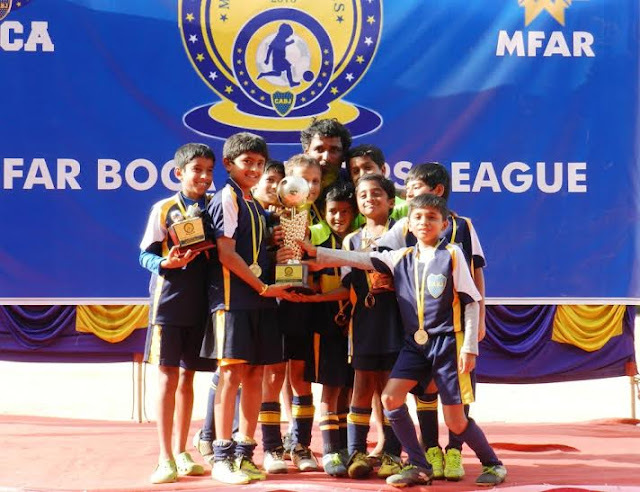 Below are the results from the final Week of the Mfar Boca Juniors League 2015, which was held at the Dairy Science College grounds in Hebbal, Bangalore. Please also find Golden Boot and MVP players from the league.